Extended hours available for catered events. 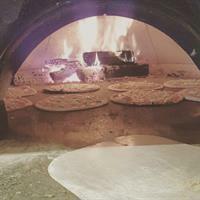 900 Degrees Wood Fired Pizzeria is an idea born from a passion for high quality food and building a community around a positive dining experience. Owner Priscilla Lane Rondeau infuses her belief in protecting the environment into every aspect of running 900 Degrees, including creating dishes that highlight New Hampshire's local farm fresh ingredients. 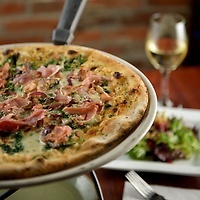 Located in the historic Mills in Manchester, NH, the restaurant's concept developed around producing pizza as it was originally made in Naples, Italy. Utilizing a wood-fired brick oven, an authentic dough recipe, and the freshest ingredients, 900 Degrees embodies the rich tradition of true Neapolitan pizza making. The pizza dough is made fresh daily in the kitchen. 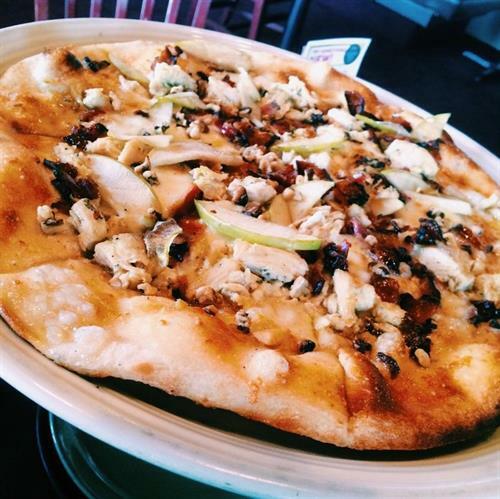 The pizzas are thin crusted and expertly topped to offer rich flavor in every bite. The oven, which cooks at an average temperature of 900° Fahrenheit, is the heartbeat of the concept. Using old world technology, the wood fueled oven offers flavor and texture beyond the reach of traditional pizza ovens. 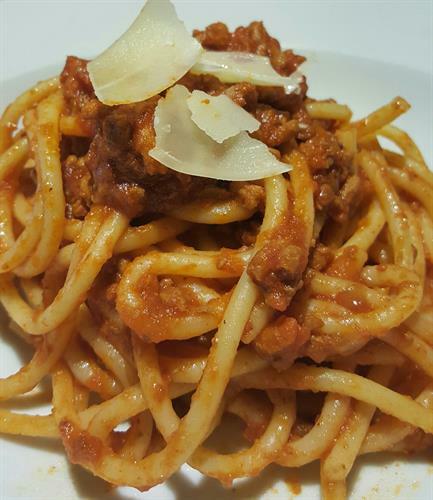 In addition to pizza, the menu offers several delectable entrees, sandwiches, soups, appetizers and desserts. A selection of gourmet and organic salads, and desserts are also available. Ingredients of the highest quality are used, chosen from local purveyors whenever possible. 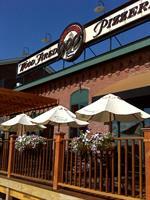 You will enjoy an old world atmosphere, and a hand picked selection of beer, wine and spirits. Our bluesy music and relaxed seating area provide a unique dining experience indicative of a traditional Neapolitan pizzeria. Visit us also at our Epping location located at 24 Brickyard Square. From Route 3/293 N Take exit 5 GRANITE ST. Turn RIGHT @ GRANITE ST. Turn LEFT @ 2nd light onto CANAL ST.After 6th light, turn RIGHT IMMEDIATELY after long brick building. Continue forward to our lot.